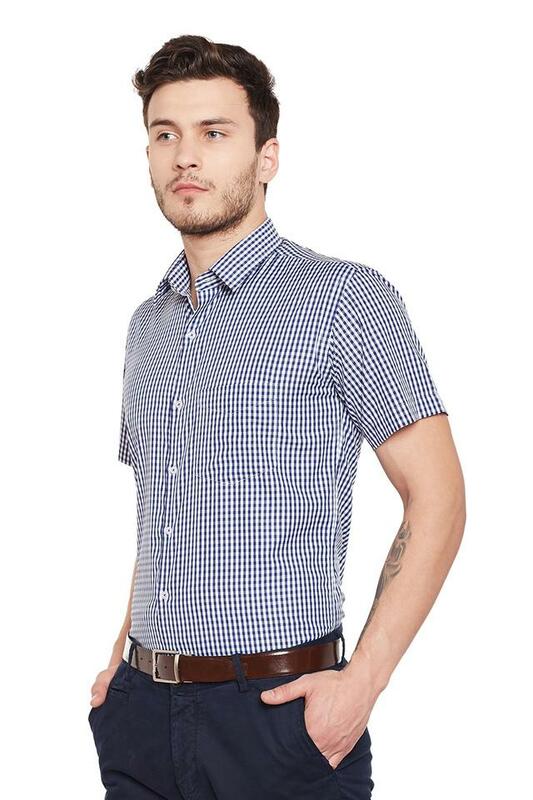 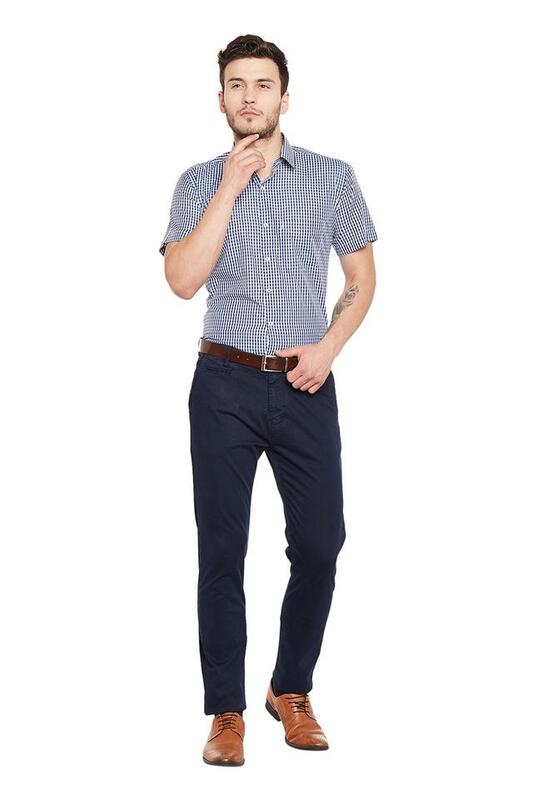 Inspire a trendsetting look with this shirt from Hancock. 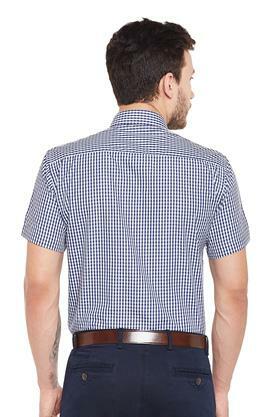 Made from poly cotton fabric, this shirt have slim fit for your convenience. It has a classic french collar and a hard-to-miss checks pattern on it. Beside, It has short sleeves that accentuates its look. 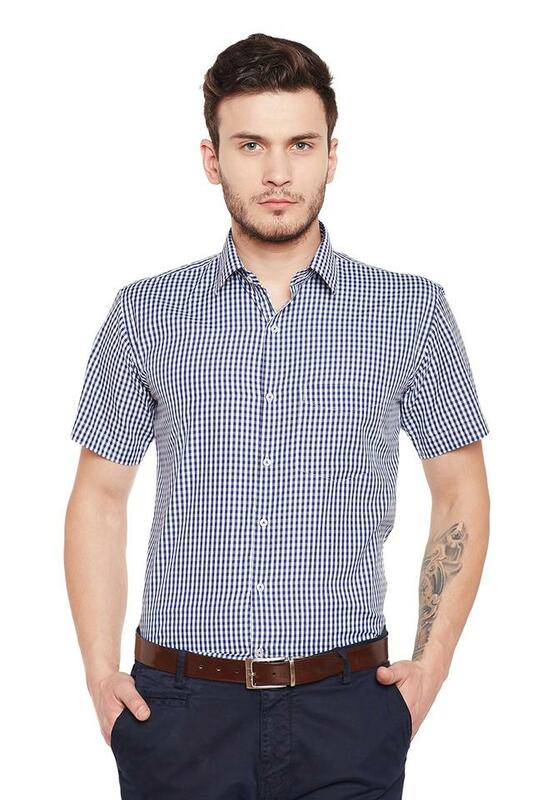 Cool and laid-back, this shirt is perfect for duty looks. Team it up with trousers and shoes for that trendy look.